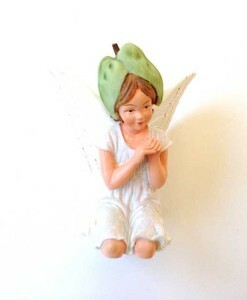 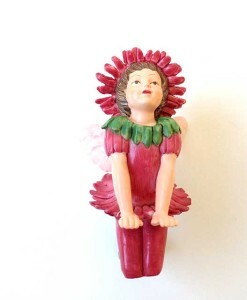 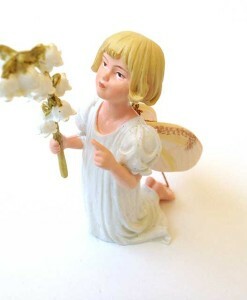 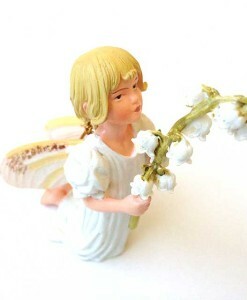 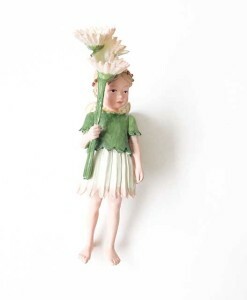 Our Red Clover fairy figurine has feathers on her bonnet. 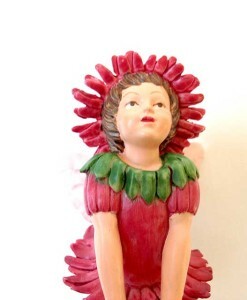 Poised in a resting position for placement on moss, garden bench or picnic blanket. 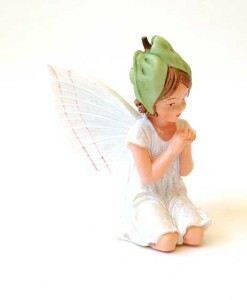 Dimensions: 2 1/8″ tall, 1 1/4″ wide, 2 13/16″ deep.